Because the District of Columbia is the home of our nation's capital, there is always a large military presence in town. There are several bases in the area, with thousands of military personnel stationed here at any given time. At the same time, many of our local soldiers have been deployed to far-flung locations―so they can't return to the local Department of Motor Vehicles in person when it's time to renew their driver's license and registration. Fortunately, the DMV has made some concessions for our men and women in uniform. Proof of identity (full legal name and birthdate). Proof you claim Washington D.C. as your place of residence. 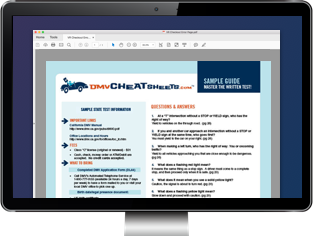 If you have not completed the verification process, or you do not meet the requirements to renew online you will need contact the Department of Motor Vehicles at (202) 737-4404. If you are living abroad and lose your license, you may replace it online. You may only replace your license online if you have completed the verification process for a Real ID at the DMV. There are a few stipulations, however. If you have changed your name or your license is due to expire soon, you won't be able to request a replacement online. Also, if the DMV doesn't have your out-of-state address on file, you can't request a replacement online because the DMV will mail your replacement license only to the address that it has on record. While you are living outside of the District, you'll want to keep your car's registration up to date. You can either renew online if you can meet the requirements, or you can process your renewal through the mail. If you have kept the DMV apprised of your current address, you will receive a registration renewal reminder in the mail. This packet contains a return envelope. Simply follow the directions and enclose your payment, and a new registration sticker will be mailed to you.